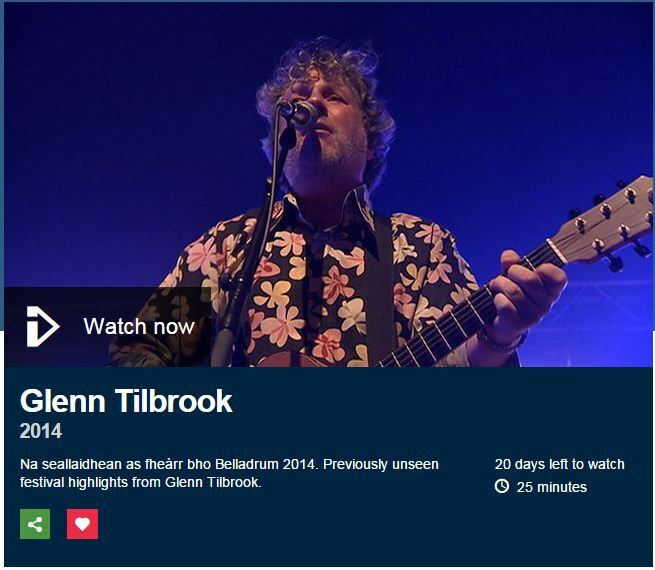 For the next 20 days you can watch 25 of the finest minutes of Glenn Tilbrook live at the Belladrum festival from 8 August 2014. The sound and filming is wonderful! Na seallaidhean as fheàrr bho Belladrum 2014. Previously unseen festival highlights from Glenn Tilbrook.